Jeff Pickett and I sit in blue and green beanbag chairs on the wooden patio at Coral Reef Surf Hostel. 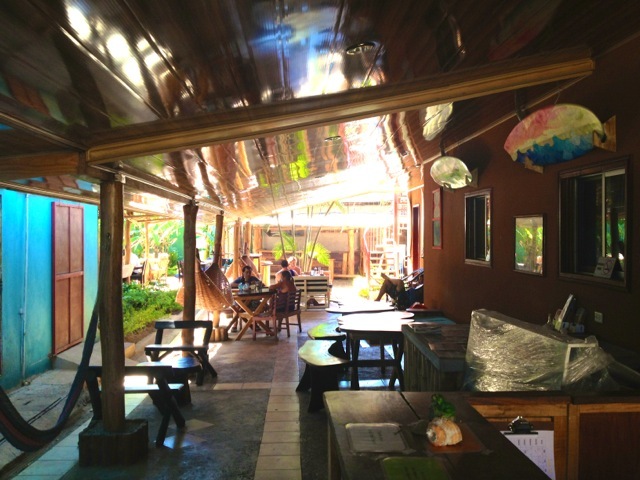 The sun burns hot today in Tamarindo, a surf town on the Northern Pacific Coast of Costa Rica, but the patio’s overhang provides welcome respite from the heat. 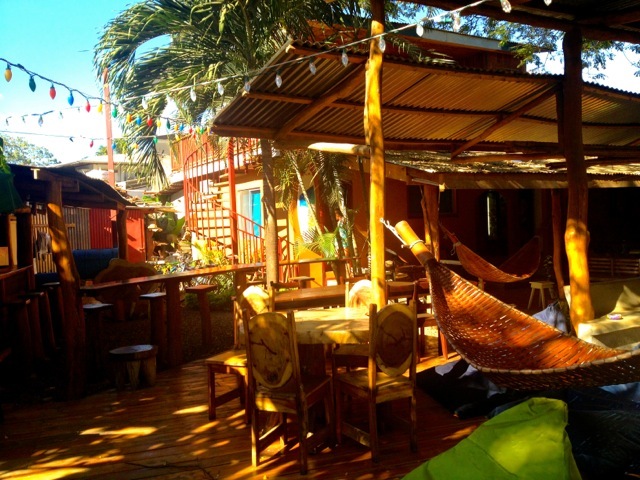 From the soft beanbag chairs to the rainbow tones of the surfboards nearby to these welcome bursts of shade, everything about the scene is mellow and relaxed, including the hostel’s owner Jeff himself. Warmth and hospitality come natural to the Raleigh, North Carolina native, and his friendly demeanor exudes a laid-back surfer vibe you thought only existed in 1960’s beach movies. The sense of family is driven home as Bodie, Jeff’s dog who shares his passion for surfing, wanders by in search of new friends. Jeff moved to Costa Rica three years ago from the United States to challenge himself “personally, professionally and culturally,” he said. His love of surfing and business ventures brought him to Tamarindo, a haven for tourists and the fastest growing city in Costa Rica. He has owned the next door restaurant Longboards BBQ for three years, and bought the hostel just last year when it was up for sale. When he bought the hostel a year ago it was in a dilapidated state. Jeff and his team poured love and work into it, replacing ceilings and walls, adding new bathrooms and a deck, and decorating the common areas in hand-designed furniture. The hard work paid off. 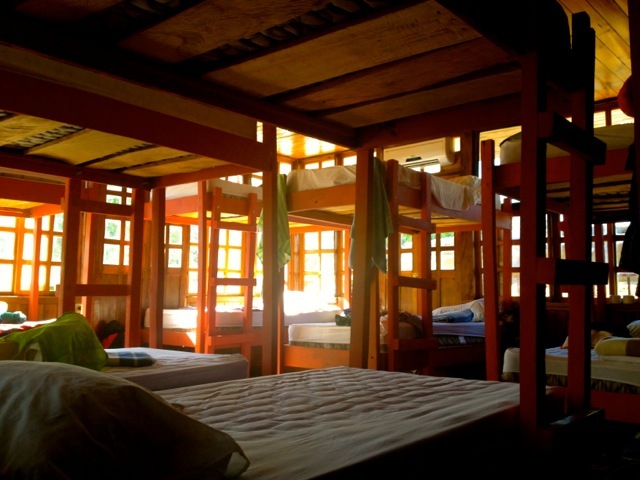 Today the hostel is a cozy and clean oasis with bright colors, intimate spaces for relaxing, and showers with warm water. 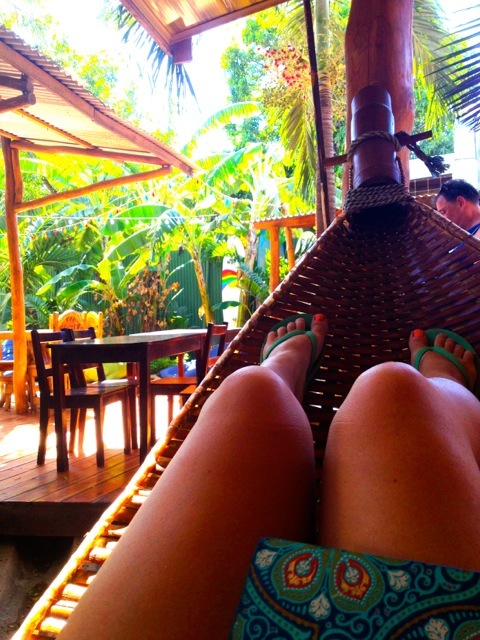 My personal favorite touch is the wooden hammocks — perfect for reading. The hostel has a fully equipped communal kitchen. Guests also receive a 15% discount at Longboards BBQ next door. 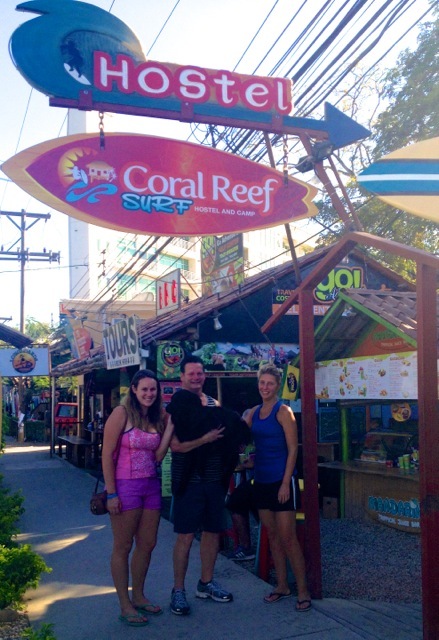 Coral Reef Surf Hostel is situated in the heart of Tamarindo, a small town with a population of just more than 3,5000. Food options (and a smoothie stand) abound just around the corner, and the hostel is only a five-minute walk from the beach (ten if you’re carrying one of the surf boards they have for rent here). 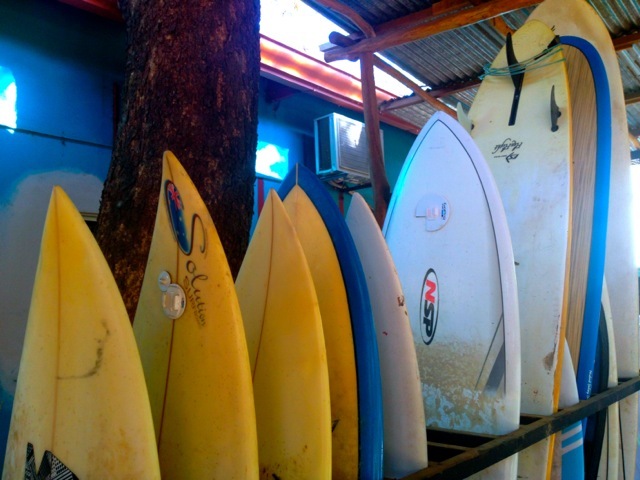 Speaking of surfing, in addition to boards for rent, the hostel also provides surf lessons to travelers eager to learn the sport. 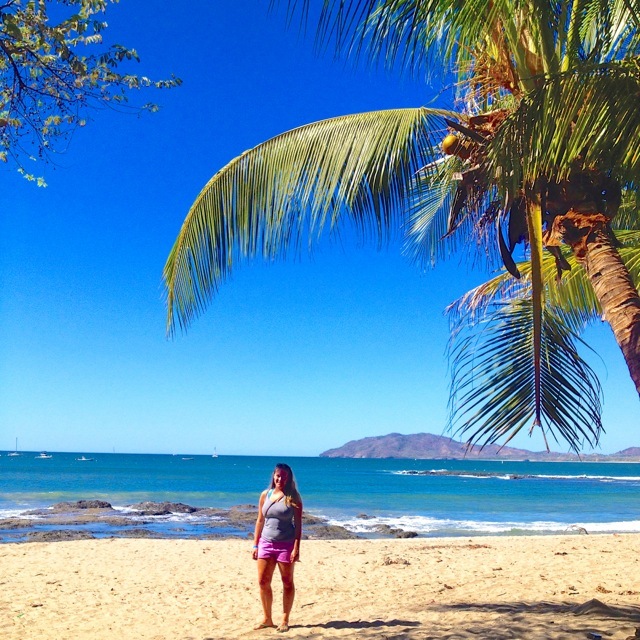 Jeff says there are many reasons for visitors to fall in love with Tamarindo besides surfing, including sunsets, catamarans and the nearby jungle. Dorm beds start at $15 a night and private rooms are also available. The hostel books up fast and is full nearly every night so be sure to reserve a room in advance. 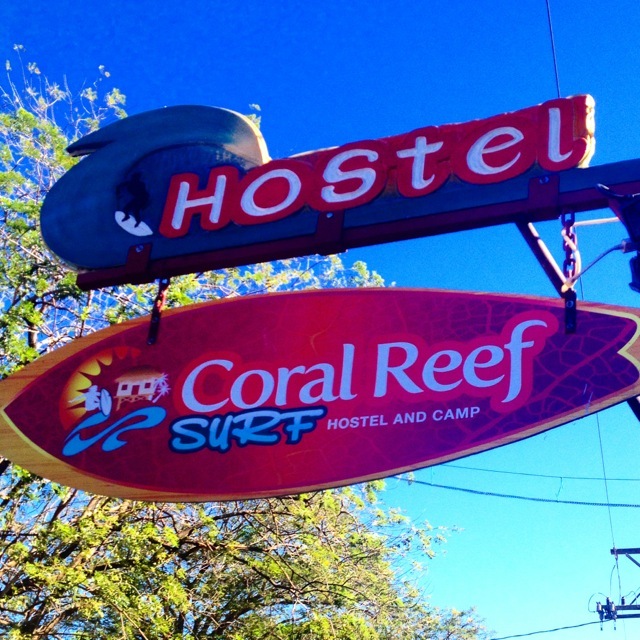 Note: I was provided with a complimentary stay at Coral Reef Surf Hostel. However, all thoughts and opinions are my own. Looks awesome! Glad to see there are private rooms as well. Thanks for sharing! It’s a beautiful and relaxing hostel. 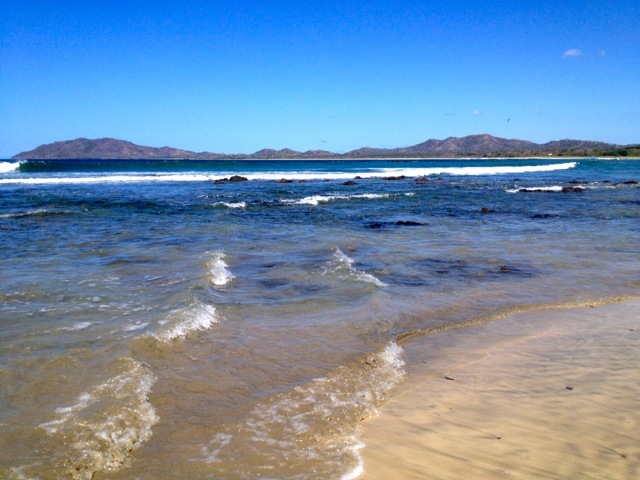 Hope you get to Tamarindo in your travels soon!